On this page you will find lots of free downloads, all PDF's, so they are safe to download. Most print out on A4 paper. We will add to these as other suitable leaflets become available. All external links will open in a new window, so you can come back here easily. Here are some circular drives which you can follow to show you the real Exmoor, off the beaten track. You can pick up the circular routes anywhere along them, as the last instruction goes straight on to the first instruction. The routes pass through lovely small villages, which often have delightful small churches you can visit. They pass some charming tea rooms, perfect for a break. They also pass beauty spots, panoramic views, picnic spots and places of interest. The routes all include some small country lanes with passing places. These quiet lanes give the chance of seeing red deer and Exmoor ponies close by. Exmoor is renowned for the quality of its footpaths and bridleways. Here are some carefully chosen links which will give you a selection of free walks leaflets and other helpful information. http://lyntonwalks.co.uk/ offers a selection of over 40 self guided walks around Lynton and Lynmouth. They also promote the guided walks led by rangers and the Exmoor Society. http://www.walkinginsomerset.co.uk/minehead.php offers a wide selection of self guided walks around Somerset. http://www.walkingworld.com/. This walking website offers masses of self guided walks throughout the country, but also plenty around Exmoor. Several of these have been written by our walking festival organiser. The Exmoor National Park has a selection of Car Free Days Out, including Rides and Walks, where you use public transport and then take a linear walk back. There are also a selection of circular walks which you can take yourself to. You can find all these at www.exmoor-nationalpark.gov.uk/enjoying/travel/Car-free-ideas. Here are some local leaflets which might be useful and help you find out more about things to do and places to see. The Coleridge Way is a 51 mile linear walk starting in Nether Stowey in Somerset and finishing in Lynmouth in Devon. It crosses the Quantock Hills, the Brendon Hills and Exmoor. The Coleridge Way website has full details, but here are some of the various leaflets which you can also get from its website. The Coleridge Way is also a bridleway for horse-riders. It also starts in Nether Stowey and finishes in the horse centre of Exmoor at Exford. There is more information on this in the Coleridge Way website. 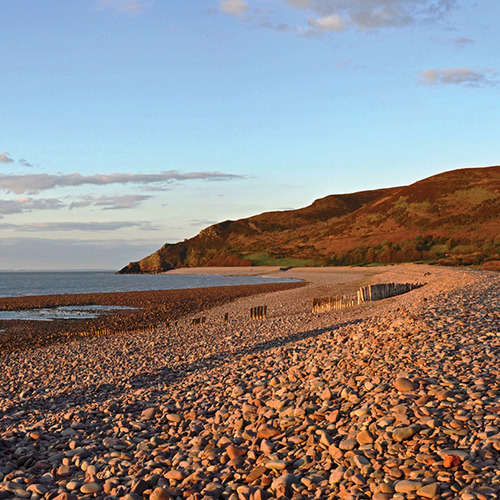 Exmoor has some of the most stunning and varied scenery, even though it is one of the smallest National Parks. Click here to see all the natural attractions.